You’ve got to Han it to him. After months of speculation and secrecy, it’s finally official: Star Wars: The Force Awakens is the highest-opening domestic movie of all time. Exactly where that opening will land is still a little bit unclear — Disney is saying $238 million, while Deadline is suggesting it could be as high as $246 million — but regardless, J.J. Abrams’s seventh entry in the Franchise That Lucas Built has obliterated Jurassic World’s young record of $209 million for the most money made in the first weekend of a movie’s release. Plenty of noise will be made over the magnitude of this performance, so, before the hangover sets in and the internet falls to squabbling, I wanted to zero in on the seven most interesting numbers from The Force Awakens’ record-setting weekend, most of which are drawn from Deadline’s comprehensive coverage. $84,617,303: The previous highest opening weekend for a movie released in December, courtesy of The Hobbit: An Unexpected Journey. Prior to this year, conventional wisdom dictated that the months to launch a $100 million–plus opener were between April and July, with November as an exception for YA adaptations. December was for long runs and good returns, a strategy that did help Avatar become the best-grossing film ever made. (For comparison’s sake: Avatar opened to $77 million on December 18, 2009.) But The Force Awakens is the last stage in a process that’s been happening for a decade now: You can release a blockbuster at any time if it’s a known property. And since audiences these days rarely see unknown properties, you can release a blockbuster at any time. September and October are now the only months to have never produced a $60 million–plus opening weekend, but expect that to fall soon enough. 6: The number of movies that have grossed more than The Force Awakens has this year. Have I mentioned that it’s been out for three days? I have, right? 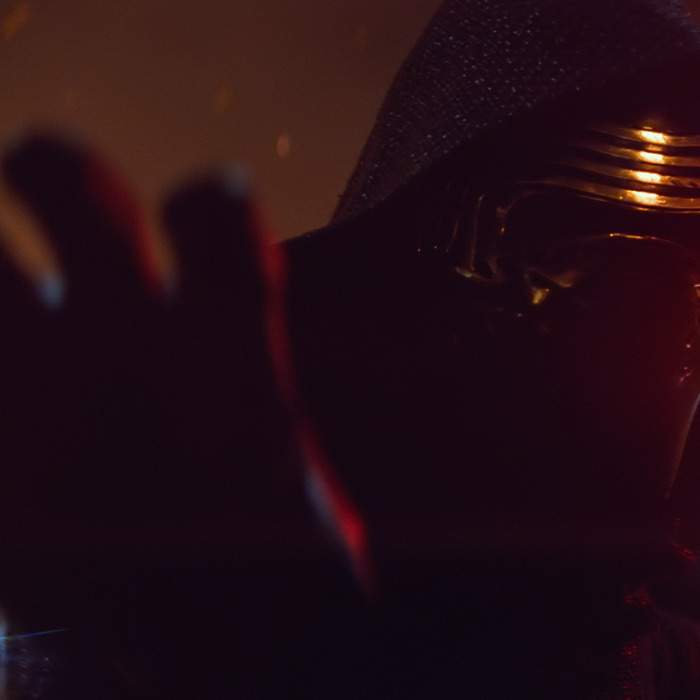 47 percent: How much of The Force Awakens’ revenue came from 3-D. Deadline writes, “When Avatar opened there were 3,100 RealD screens in the U.S./Canada; now there are 14,000 with the majority of them playing Force Awakens.” Considering that Jurassic World made 65 percent of its money on its still-record $524 million international opening weekend from 3-D showings, including an insane 95 percent of revenue in China, 3-D has solidified its role as a major component of blockbuster filmmaking. $77,000. The average per-screen gross from Imax locations, adding up to $30.1 million — $9.2 million more than Jurassic World’s previous opening-weekend domestic record. It’s the same story as 3-D: You don’t release a tentpole anymore without a significant Imax presence. 54 percent: Portion of the total $517 million gross that came from international markets, with $279 million rolling in across 30,000 screens. That $517 million figure is just short of Jurassic World’s record $524 million, but The Force Awakens becomes only the second movie ever to haul in more than $500 million worldwide in a single weekend. But this isn’t quite a one-to-one comparison: Unlike Jurassic World, which brought in a healthy $99 million from China on its opening weekend, The Force Awakens has yet to open in that country. Take away that $99 million, and The Force Awakens beats Jurassic World by more than $60 million internationally. As The Wall Street Journal pointed out, though, it isn’t quite that simple: Star Wars lacks much of a pull in China, and its earning power in the country is still sort of a mystery, even with Disney’s all-out marketing blitz ahead of its Chinese-market release on January 9. Fortunately, Stephen Colbert is doing his part. Meanwhile, that means there are a lot of women out there who have yet to buy a ticket. It would be insane to expect women to come out for The Force Awakens in the same numbers that men do, but the hugely positive response — highlighted by an A Cinemascore and 95 percent rating on Rotten Tomatoes — might help convince otherwise-unpersuaded women (and men) to patronize the biggest movie in American history. 3.1: The multiplier by which Jurassic World grew from its opening weekend through the end of its domestic run. Box Office Mojo is forecasting a 3–3.5 multiplier for The Force Awakens, which would result in a total of $714–833 million. But an even higher total isn’t out of the question: We’re in uncharted waters here. Avatar’s domestic record is $749 million, and its foreign record is $2 billion. Those are the numbers Disney wants to hit. Is anything less a disappointment? Well, disappointment’s relative. Money is not.